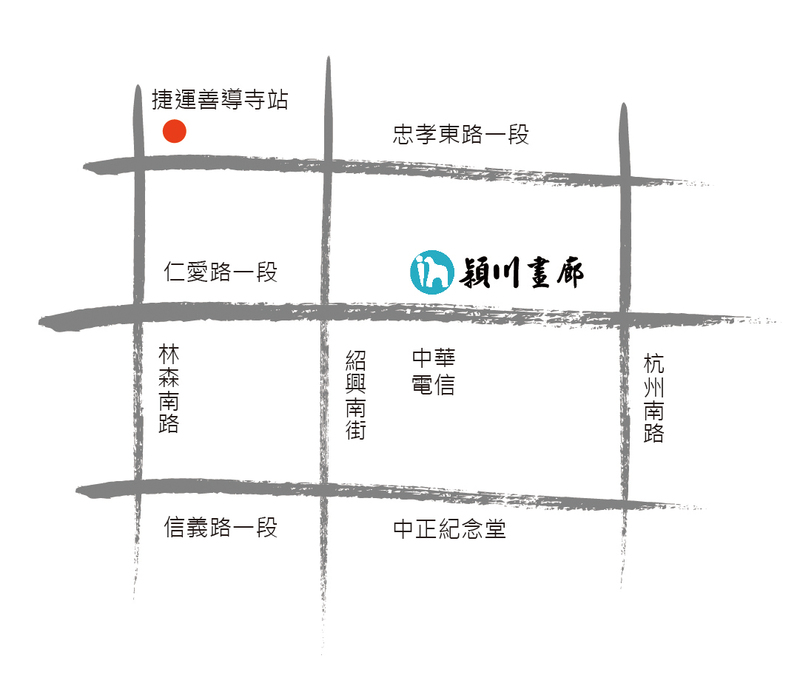 In River Gallery was founded in 2011 at Ren-Ai Road, Taipei, near the Da Zhong gate of Chiang Kai-Shek Memorial Hall. We are a group of professionals whose goal is to promote the contemporary arts of Taiwan regionally and worldwide. Each item in our collection has been rigorously selected to ensure its pure art form and highest collective value. The gallery’s aim is promoting contemporary art, with a prominent focus on paintings, as well as exhibiting sculptures, installation art, and mixed media works. Our resident and visiting artists merge an oriental cultural background with contemporary thoughts, which leads them in bold new directions. Driven by the spirit of contemporary art, we wish to carry out the idea of “art equals life, and vice versa.” We hold strongly to the ideal of continually promoting the original works of contemporary Chinese artists, and to put their exceptional works on display for domestic and foreign collectors alike to view and appreciate. In River Gallery. Local production, Global vision.